The FloorLiner DigitalFit accurately and completely lines the interior carpet giving "absolute interior protection". Digital laser measurements of interior surfaces offer a consistently perfect fit. A patent pending High-Density Tri-Extruded (HDTE) material allows for a rigid core for strength while offering surface friction to the carpet, as well as tactile feel to the surface. Advanced surfacing creates channels that carry fluids and debris to a lower reservoir with further channeling to help minimize fluid movement while driving. Once fluids become trapped in the reservoir, away from shoes and clothing, they are easily removed from the FloorLiner DigitalFit over the door sill. 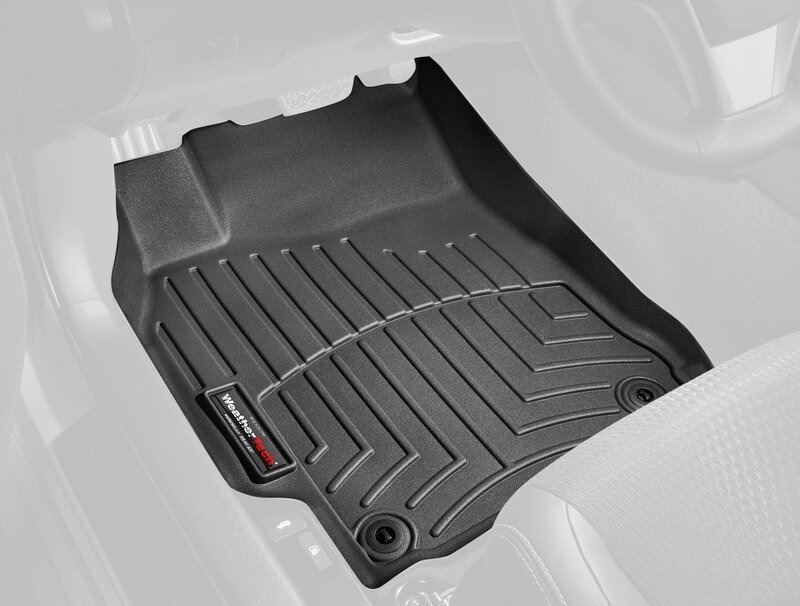 Rear FloorLiners DigitalFit incorporate many of the same design features as the front FloorLiners DigitalFit. In the quest for the most advanced concept in floor protection, the talented designers and engineers at MacNeil have worked tirelessly to develop the most advanced DigitalFit floor protection available today. FloorLiner Mats are designed to keep your interior carpet clean, with quality floor protection proudly designed, engineered and manufactured in the USA. The FloorLiner DigitalFit accurately and completely lines the interior carpet giving absolute interior protection. Digital laser measurements of interior surfaces offer a consistently perfect fit. A patent pending High-Density Tri-Extruded (HDTE) material allows for a rigid core for strength while offering surface friction to the carpet, as well as tactile feel to the surface. Advanced surfacing creates channels that carry fluids and debris to a lower reservoir with further channeling to help minimize fluid movement while driving. Once fluids become trapped in the reservoir, away from shoes and clothing, they are easily removed from the FloorLiner DigitalFit over the door sill...no muss, no fuss. 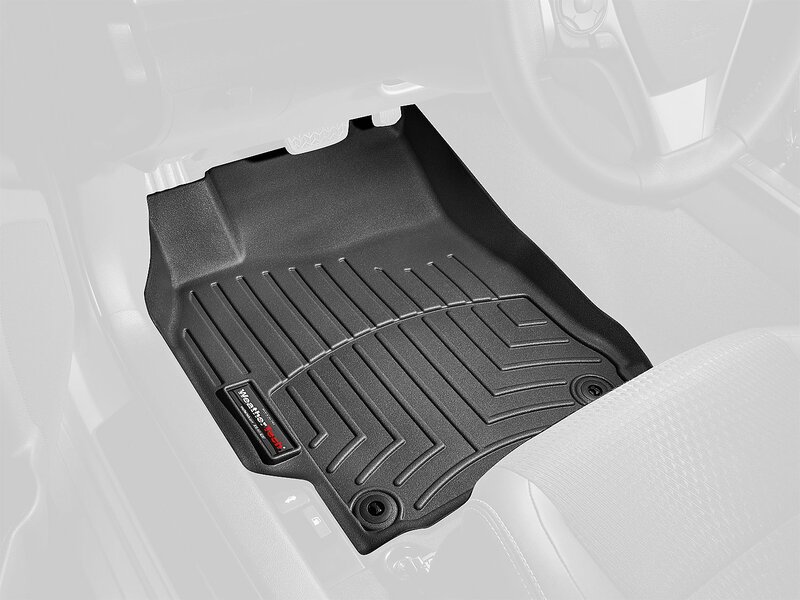 FloorLiner mats are simple to install, with grommet holes that match the factory carpet in your vehicle. Note: FloorLiner is designed for vehicles with factory carpet installed when manufactured. They will not fit vehicles with vinyl floors unless otherwise specified. Please take your old floor mats out before installing your new FloorLiner. FloorLiner protects the resale value of your vehicle, too. Simply put, the cost of owning a vehicle is the difference between what you pay for it and what you sell it for. There are many factors that influence resale value; miles, exterior condition, maintenance history and of course interior condition. 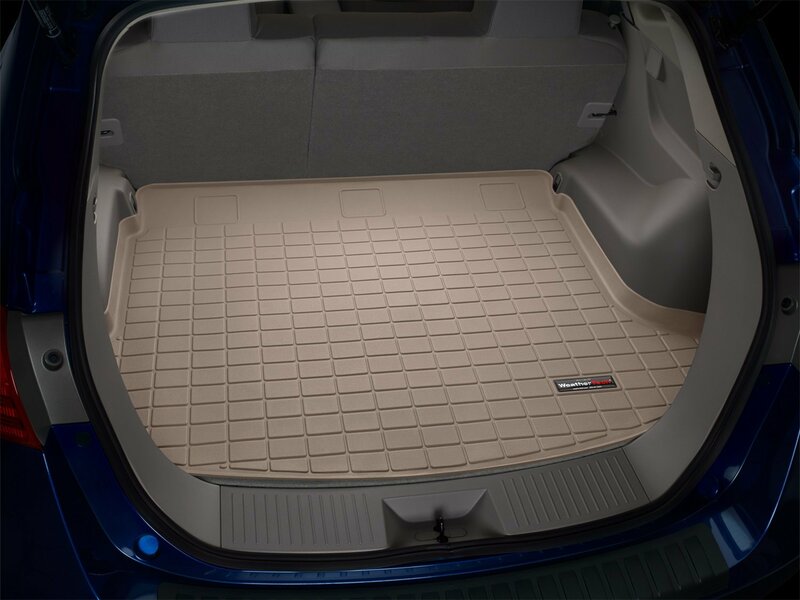 FloorLiner mats protect against some of the most common causes of interior damage, helping to keep your investment in good shape for years to come. The FloorLiner is guaranteed against faulty materials and workmanship for a period of three years from the date of purchase. Exclusions to this warranty are wear due to severe abrasive conditions and chemical contamination, such as spilled gasoline, bleach, etc. Depending on the situation, MacNeil will either replace your FloorLiner at no charge or charge you a prorated amount for a replacement. You will not be disappointed with this purchase! Bought these for my new 2013 Kia Optima and like everyone else says, the fit is absolutely perfect. They're a little pricey (still waiting to purchase the ones for the back), but I figure they're like insurance and what's another couple hundred on top of the thousands we paid for the car? It's maintenance. I commute many places and spend a lot of time in my car. Easy to maintain. Not a big deal, but I wasn't a fan of the "WeatherTech" sticker - it is easily removable if you're not a fan like myself. If you have kids, you really shouldn't be debating this one...get them guilt free! (It's a purchase for the entire family). All buyers will be happy you splurged on these! Installation - piece of cake! I bought these to protect the floors of my kia optima hybrid from the winter here in upstate new york. I removed my carpet liners and installed these easily. It took just minutes and these are a perfect fit. The only issue I can imagine with them is if they fill with water it can be a real mess. Better a mess in the liner than soaked into my carpet! Thanks WeatherTech! Ironically, I bought a pair of OEM rubber mats for my daughters BMW E46 (3- series) and it turns out that they are in fact made by weathertech. Rubber not plastic but a good product too! I just bought a 2013 Kia Optima LX with a grey and black interior and wanted fitted floor mats. After looking at various message boards and reading numerous reviews, I ordered these. The cost is somewhat high, so I only ordered the front this go-round. They arrived today - I knew they'd be fitted, but I wasn't expecting how huge they were. So when I say the cover the floor, they really cover it. It was a bit challenging to get them onto the floorboard retention clips, but they snapped into place and aren't about to move. They fit PERFECTLY and there's a level of coverage you won't find with store bought floor mats. And they look awesome, too! I can't wait to order and get the rear floor mats. I would always shy away from these because of the price but once I got them they are totally worth it. A world better than universal or even factory mats. These are great floor mats and worth the money. I have a hard time spending so much money on things like this but they fit like a glove and do the trick. I live on a dirt road and it often gets very muddy. Regardless of what I do mud, rocks, and dirt make it into my car. These are really easy to remove to clean off and keep the mud out of my car. Very nice produce and I would buy them for any car worth keeping clean. -after a year and a half they are good as new...they've handled rain,mud,grass, ash, sweat, vomit, and im sure a few other substances but a quick rinse down with the hose and they are good. Fast service and less expensive than buying direct from the manufacturer! Perfect fit.